Not sure if you all had heard, but for those not living in Canada, we're having a mail strike here. Let me tell you, I love my mail and find that it HAS been effected.Nothing in today's mail and they are walking the picket line here. Even review products are slow at getting to me, and more companies I think will be making the couriers happy, by using their services,but that's gotta be expensive! 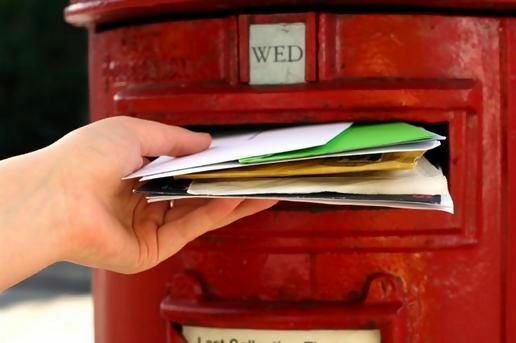 What's your take on the mail strike? For those of you who waited all year for America's Got Talent, it's back! I've really looked forward to each week to have a laugh,cry or "wow" at some of the talent.I love this show! My daughter Ria started back managing at the petting zoo again this year, so keeps very busy with that. The bunny that we had been keeping here before they opened is there now and has her own cage indoors and out to run around like she loves to do.The zoo usually closes in September so not sure where bunny will go after that. The other daughter, Erika,is enjoying her new job as a timekeeper at our local mining company. She is a casual. Likes the money but also has a car payment and loan to work on paying from her last year of living in Calgary.She dislikes the tax man taking so much off her cheques though and working in a place with no windows. Gerry is wanting retirement to come sooner than the 7-8 years he has left.He said with a mortgage and other payments still owing, an early retirement is out of the question.It also means he would lose his benefits, which we currently have all medical and a portion of dental paid for. I hope your all doing well- I always enjoy reading your comments in the giveaways and welcome any emails always. Bummer about the mail strike! I hope it all gets resolved. I hope he can hang in there! This is Laura from www.montydob.blogspot.com by the way. Blogger is not recognizing me as being signed in for some reason so I'm anonymous today!